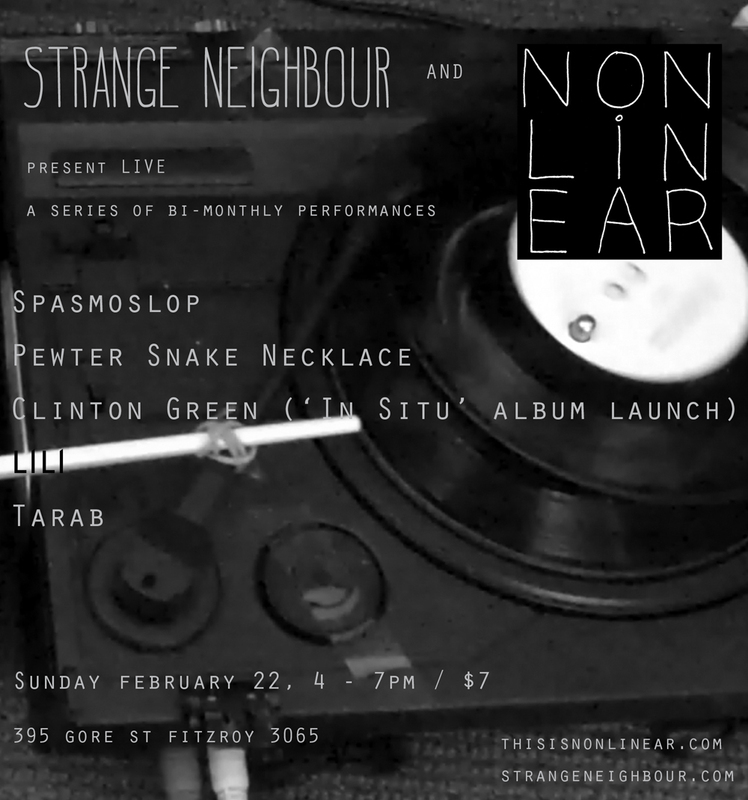 This Sunday afternoon I’m launching my brand new CD ‘In Situ’ at Strange Neighbour gallery in Fitzroy. ‘In Situ’ is composed from turntable manipulations of Todd Anderson-Kunert’s ‘The situation we’re in’ seven inch vinyl. Available in an edition of 30 CD’s, each with an individually hand constructed collaged cover made by Jessica Anderson-Kunert (using visual source material from the same release). Available on the day, or afterwards from http://www.thisisnonlinear.com and Shame File Music.